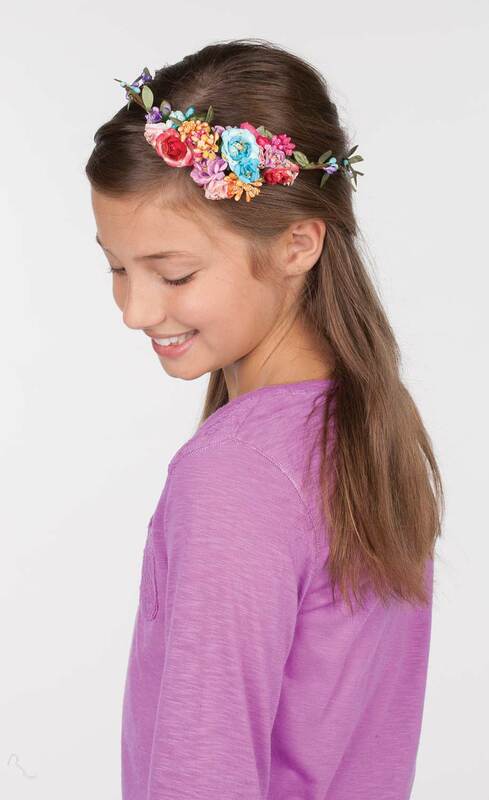 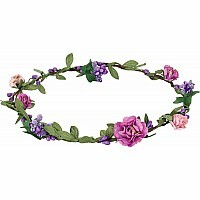 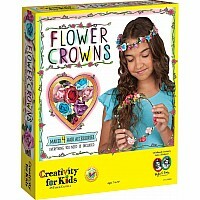 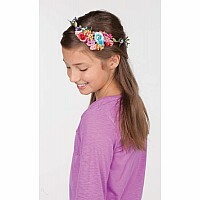 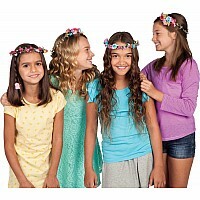 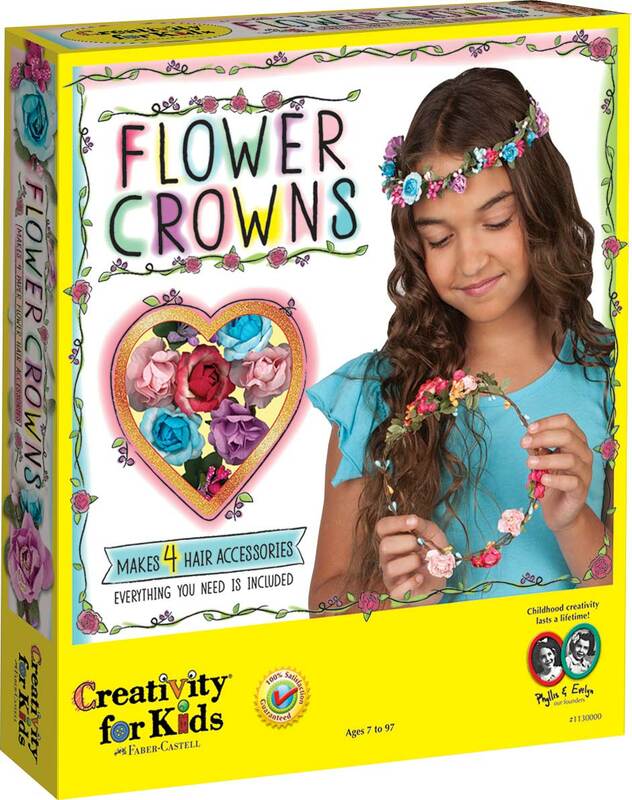 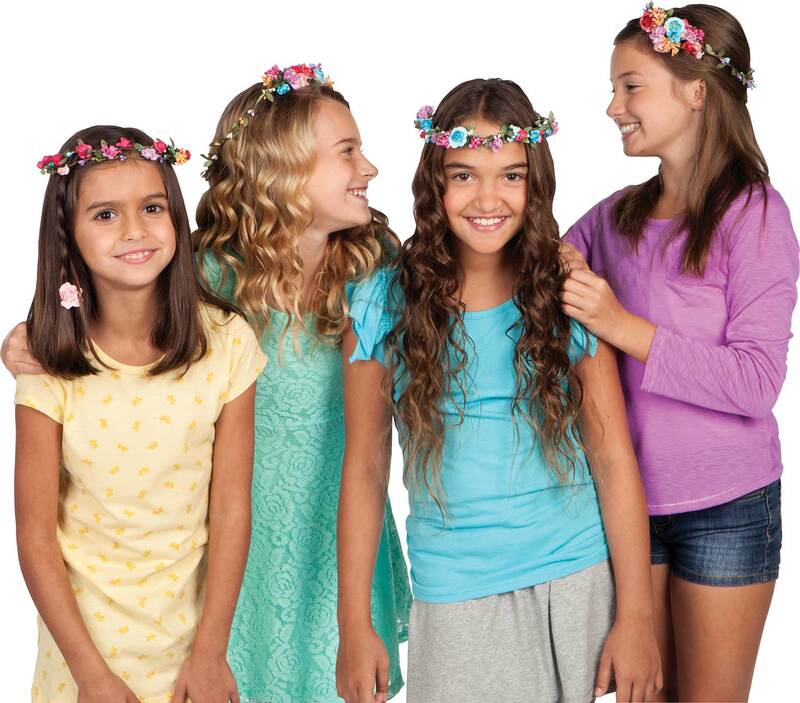 Make your own style statement with this season's hottest fashion accessory; flower crowns. 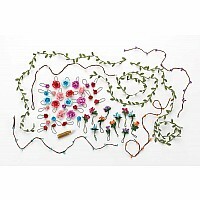 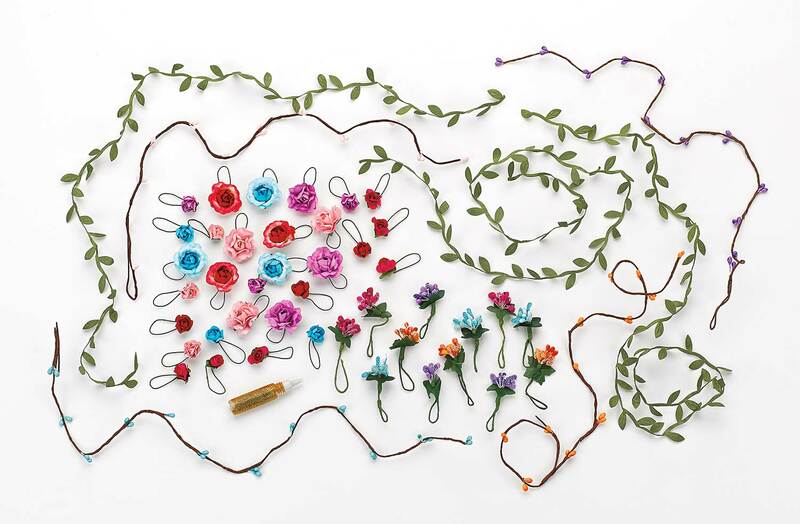 Fun to make: Just twist realistic paper roses, beautiful berry bunches and charming ribbon ivy around the twig bases. 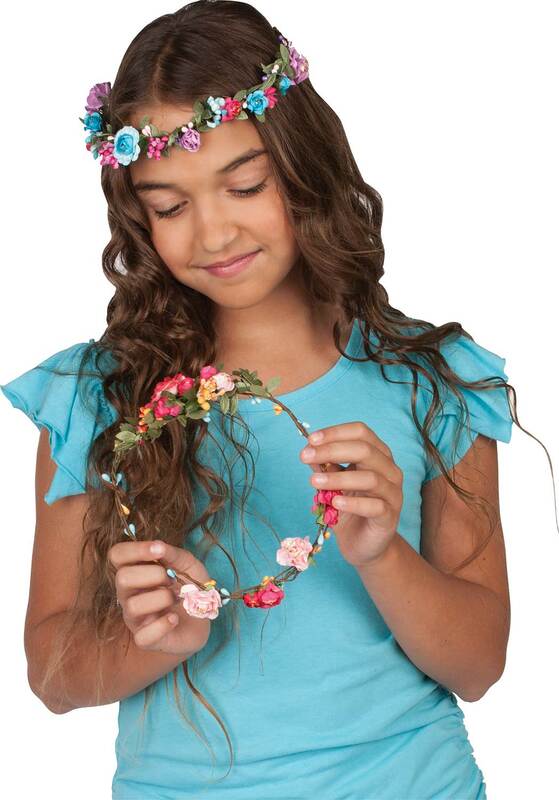 Add a little bling with the golden shimmer accent paint included. 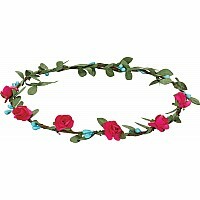 Measures approximately: 10.50 x 2.00 x 12.25 inches..